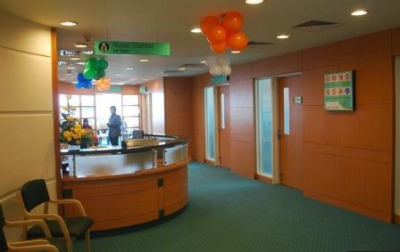 Max super specialty hospital, Shalimar Bagh is well renowned for its classified services. It is the best hospital for Heart Surgery Hospital in Shalimar Bagh, with a network of 14 hospitals, max super specialty hospital offer treatment across all 29 specialties. Max super specialty hospital have 2300+ leading doctors with international level expertise who are committed to provide highest standards of medical excellence at a fraction of international costs. Max super specialty hospital provides NABH and ISO accredited hospitals who offer best in class services to our patients. It is the best hospital for cancer in Shalimar Bagh, they understand seeking medical treatment outside your home can be physically and mentally difficult. So, at Maxyou get to feel at home. It is the best hospital for laparoscopic Surgery in Shalimar Bagh. At Max Super Specialty Hospitals, it is their level of service and eye for detailing in everything that we do, that truly sets us apart and makes us the care provider of choice for millions of patients. It is the best infertility Hospital in Shalimar Bagh. Quality, medical & service excellence and detailing are the pillars of this institution. They stand with the vision of that their passion well reflects in the fact that we set the industry standards when it comes to cure, care and comfort. It is the best hospital for Kidney & Liver Transplant Hospital in Shalimar Bagh. To deliver International Class healthcare with a total service focus, by creating an institution committed to the highest standards of medical & service excellence, patient care, scientific knowledge and medical education. It is the best eye care Hospital in Shalimar Bagh. Some of the specialties offered by the hospital are cancer care/oncology, Liver transplant and biliary sciences, cardiac sciences, neuro sciences, orthopedics, bariatric/weight loss surgery, minimal access/laparoscopic surgery, bone marrow transplant, kidney transplant, nephrology, Aesthetic and reconstructive surgery. With the leading technologies they offer some top procedures that are Bariatric surgery, Bone marrow transplant, Kidney transplant, The DA Vinci Xi Robotic system, HIPEC, LVAD, Valvular heart surgery, Knee placement surgery, cochlear implant, Coronary artery bypass implant(CABG), Biopsies/FNAC and Catheter Drainages, EMCO. The hospital is known to provide the highest standards of patient care and is backed up by a team of talented medical professionals. 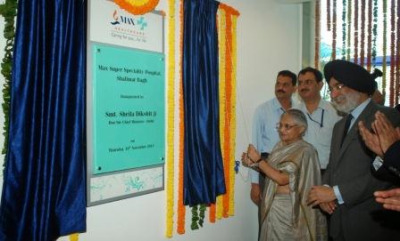 The hospital is one of the well-known public hospitals in Shalimar Bagh. The hospital is backed up with a vision to offer the best in patient care and equipped with technologically advanced healthcare facilities. Main aim of the hospital is to provide the best in patient care and it is equipped with technologically advanced healthcare facilities. Their services are designed keeping in mind the extreme demand for quality health care services and advanced medical treatment. With the increase in the stress due to the fast-paced life we all are leading, there is a huge increase in the demand for medical treatments that can provide cure to various complex health challenges. 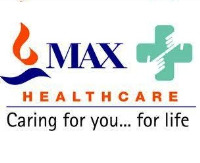 This is where Max super specialty hospital will prove to be the best treatment option for you. Irrespective of the health problems you are facing you will be able to avail a range of treatments suitable for your medical challenges. You will receive complete assistance throughout your process of treatment. At Max Multi-Specialty Hospital, you will be provided with best quality service. 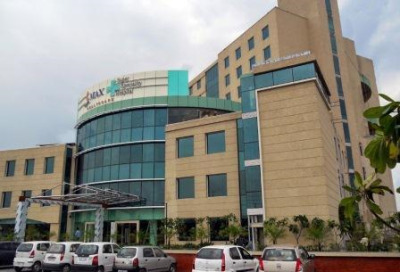 Throughout your experience at Max Multi-Specialty Hospital, Noida you will receive the guidance of the well-trained staff. All you need to do is to trust the Doctor’s and the Non-medical staff. A team of well-trained medical staff, non-medical staff and experienced clinical technicians work round-the-clock to offer various services. It is the best hospital for Brain Surgery Hospital in Shalimar Bagh. 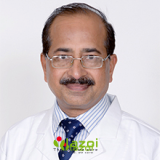 You can book an online appointment with doctors available at Max super specialty hospital on www.Lazoi.com. Max Hospital One of the finest hospital you could find in Delhi. Has all the facilities but is an upscale place so unless you have some Deptt like CGHS etc. My wife was suffered monthly affairs, i was visit Max Hospital Shalimar Bagh which have specialist doctors looking into the same field. Its been 6 months now and I think my wife is at her best health. Max Super Speciality Hospital provide Good services and all doctors very excellent. Good doctors. nice staff. Very happy with the services given by the Max hospital noida. keep up the good work. My wife had been experiencing problem with her monthly affairs, it was then someone told me to visit Max Hospital Shalimar Bagh which have specialist doctors looking into the same field. Non cooperate staffs no work ethics Staffs behave like they are not paid salary. such a lame services. Worst hospital comparing to other hospitals around. Hello friends, I am talking Hospital Max Hospital Shalimar Bhag Delhi friends from my opinion max hospital is Good for everybody and in every hospital every staff is very Supportive. Excellent hospital. Max hospital shalimar bagh have huge number of bad and big rest room.